To accommodate the growing bicycle culture in Southern California, more 'on board' space is needed on the train systems (Metro and Metrolink). Other train systems in California have seen growth and met the growth by adding additional 'bikecars' to each train. Additionally, to meet the educational component of our mission, more space will eventually be needed. Please view the PowerPoint below titled "What is a bikecar?" by clicking HERE. 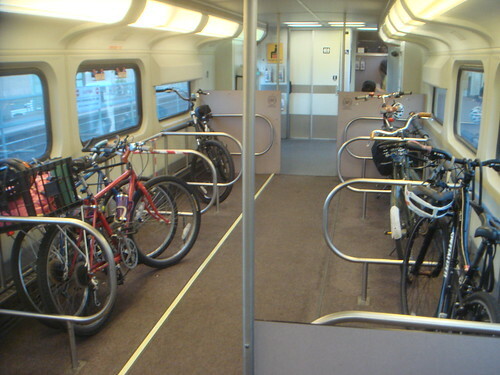 A Metrolink Full bikecar with all lower level seats removed for bicycle storage!